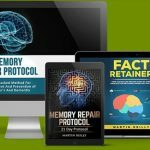 Memory Repair Protocol by ‘Martin Reilly’ is a highly deceptive scam you must avoid. This review is going to be short because the scammers behind this product are also behind some scams previously exposed on this blog, and they’re using the same scamming tactics. So to not waste my time and yours, I’m going to emphasize mainly on the scam evidence unique to Memory Repair Protocol and briefly mention the common ones. So, Memory Repair Protocol has been around since October 2016. According to Reilly, he has finally discovered the ‘natural’ remedy that will treat and prevent ‘every form of dementia’ in just 21 days. Now what is this remedy? A ‘dish’ made from ingredients sourced from Ballabgarh, a village in Northern India. This is interesting. Let’s briefly look at the backstory, shall we? Understandably, Reilly was fed up with the ineffective drugs and the toll his wife’s dementia was having on him and his children, but he had no idea what to do. However, one afternoon while visiting a nearby local care home with his wife, Reilly says he ‘smelt something absolutely amazing coming from up the stairs.’ He even describes the smell as ‘one of those smells of food that make you just want to follow it, like in the movies.’ In fact, he admits he did exactly that, and that was how he found out that the ‘smell’ was coming from the kitchen of a 107-year old ‘tiny old lady from Northern India’ called Manisha. OK. Now that’s out of the way, let me tell you why you should NOT believe the above story or buy this program. Martin Reilly calls himself a 59-year old science teacher living in Stamford, Connecticut with his wife and three children. Of course, there is no way of verifying this information because he has no social media presence. Again, I don’t believe the man reading the script in the video presentation is Martin Reilly. 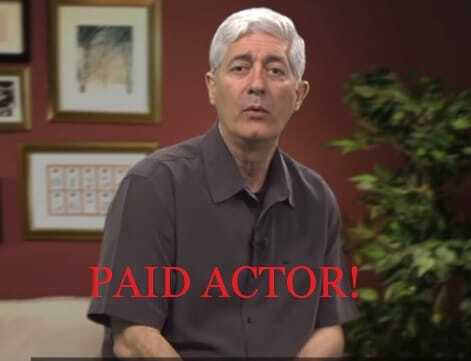 He’s just a paid actor. You’ll realize why I said this later in the review. If you check out the websites of these scams you’ll realize that their design is similar to that of Memory Repair Protocol, and they all use paid actors to read the script in the video presentations. After what I’ve seen so far, there’s no way that I’ll ever believe that any product connected to Spark Health Media is legit. Just like in the scams listed above, Memory Repair Protocol testimonials are too staged and professionally shot to be genuine. Not much to say here. In the backstory, Reilly mentioned a BBC article reporting that a years-long research by the University of Pittsburgh in Ballabgarh found that its senior citizens have possibly the lowest cases of Alzheimer’s disease in the world. He then attributes the whole thing to the diet of the locals. However, Reilly conveniently left out the part where in the same article, it was also stated that the reason for the low incidence of Alzheimer’s disease in the village is because the residents lacked the APO4E gene, which is the MAIN factor that predisposes one to developing Alzheimer’s. Going further, the article also reported that the villagers live an active, low-stress lifestyle and have a strong family support unlike their counterparts in urban areas. Diet also has a notable effect, but it is definitely NOT the reason why there are low rates of dementia in Ballabgarh! Bottom line: Memory Repair Protocol is spinning the BBC article (and the other scientific articles cited) in order to sell the lie that you just need a diet program to reverse your dementia. Don’t fall for it! Again, Reilly references a 2014 research published in the journal Neurobiology and Aging, where it was found that consuming coconut oil -which contains middle-chain fatty acids – caused the buildup of ketones in the brain, which then led to increased cognitive function on the patients tested. However, Reilly failed to mention that this study yielded mixed results – 50-50 to be exact – and the researchers recommended that more studies be done before a definite conclusion can be made. Bottom line: The coconut oil research is inconclusive and cannot be relied upon for now. Finally, Reilly made a huge blunder by claiming that ketones are ‘EXACTLY what brain cells need to dissolve excess glucose and convert it into energy.’ Actually, ketones are only created in the body when glucose is ABSENT in the body cells. Excess glucose in the blood, as seen in diabetes, is NOT converted to ketones. Instead, it is FAT that gets converted to ketones [Mayo Clinic]. Geesh, this scammer doesn’t know what he’s talking about! Final Conclusion: DON’T BUY Memory Repair Protocol. It is A SCAM! The unfortunate fact is, dementia is an organic brain disease that can’t be reversed by diet alone. Genetic predisposition is by far the main factor behind development of dementia, and so far there’s no remedy that can reverse dementia. There are currently measures that can significantly slow down the progression of dementia, which is already mainstream knowledge. Don’t let anyone give you false hope and tell you that you can cure dementia in just 21 days as it is not true! BuyGoods is the retailer of this program. So if you made the mistake of purchasing it, quickly as for your money back by using this form. AT the bottom of the advertisement there is a disclaimer that is pretty stunning admission of a scam: I UNDERSTAND THIS WEBSITE IS ONLY ILLUSTRATIVE OF WHAT MIGHT BE ACHIEVABLE FROM USING THIS/THESE PRODUCTS, AND THAT THE STORY DEPICTED ABOVE IS NOT TO BE TAKEN LITERALLY. There are credible books about ketones and the brain. It appears that the Memory Repair Protocol is aimed towards people who prefer to watch television than read books to gain knowledge. I did not subscribe but noticed that the presentation skirted the Low Carb diet that is fundamental to the Ketogenic dieting and creation of keytones. Seek out authors Jeff S. Volek, Stephen D. Phinney, Johanna Budwig, David Perlmutter, Jimmy Moore, William Davis etc. In the meantime try to eliminate sugars and near sugars i.e. flour and starches. Ben Goldacre writes Bad Science and Bad Pharma which illustrates the various shenanigans that are foisted on the unsuspecting public. You review this and then you have ads under the article which lead to exactly the same kind of sales pitch. Very hypocritical of you. So you’re the only one allowed to make money from these kind of products, is that what it’s about? I can’t stop scammers from using ad agencies I use to monetize my site. I don’t have such an influence. So if you happen to see such ads, simply skip them. I won’t make a dime if you do that. Thanks.